j.d. suggested a Photoshopped poster for "Brownback Mountain." The faces are unretouched. 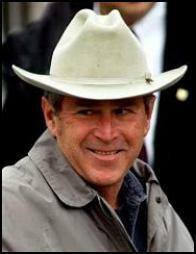 That Bush face is hilarious. Movie still, Bush, Brownback. There's a lot that can be done with this image, too. Make your own, it's fun.